High in B vitamins and fibre, organic acai berry powder is from the deep purple fruit of an Amazonian palm tree. 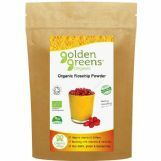 Naturally high in Vitamin C and Iron this organic beetroot powder is a great addition to your smoothies. The health benefits of broccoli are well documented. Now available in this easy to take powder form. Moringa powder has a delicious spinachy green flavour and is the superfood from the "miracle tree". A super vegetable bursting with iron, calcium, protein and dietary fibre. A great way to add vegetable greens to your juices and smoothies.